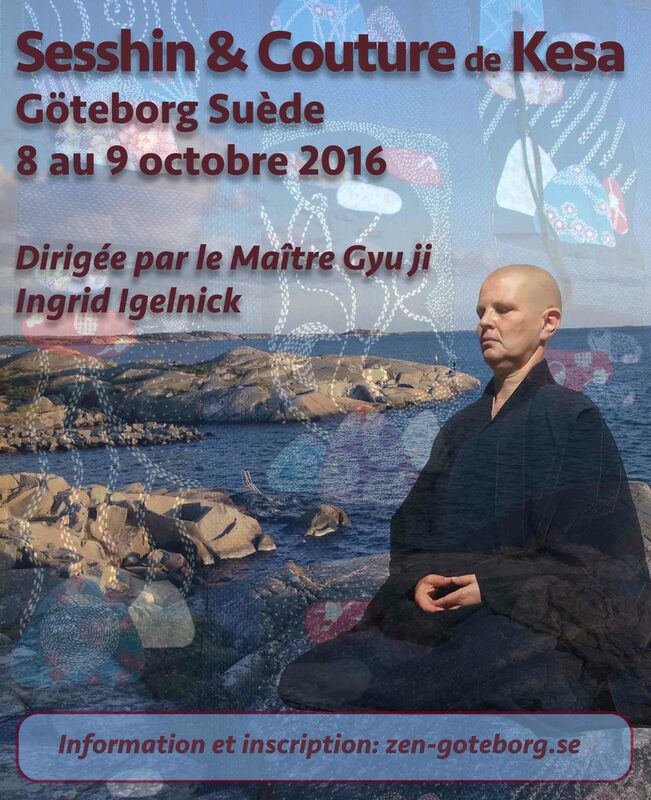 Master Gyu Ji Igelnick comes to Göteborg to direct a sesshin 8th to 9th of October. She is the main responsible for kesa sewing in our sangha. Saturday will be dedicated to zazen, seated meditation and Sunday to kesa sewing. You can take part of the whole program or only Saturday or Sunday. 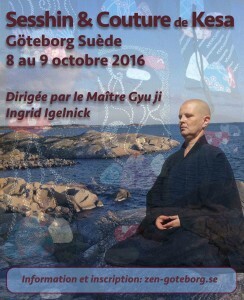 The event takes place in Göteborg city, at Distansgatan 59, Västra Frölunda. Beginners as well as those acquainted with zazen are welcome. If you need to stay over the night this can be arranged for. Arrival time: 8:00 or at least 30 min before each zazen. Price: Saturday & Sunday : 500 Kr, One day: 250 Kr. The price includes the meal.